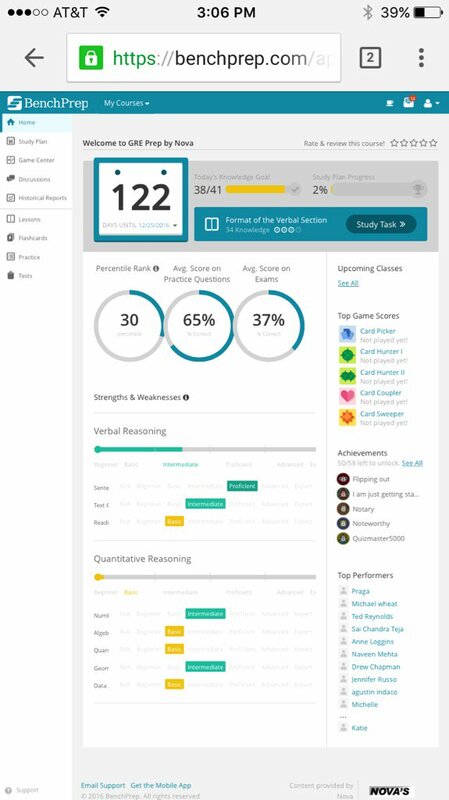 It's possible (and easy) to access the desktop version of your BenchPrep course, as opposed to the mobile version available on the BenchPrep Companion app, on a mobile device. The mobile and web apps don't have all the same features, which is where this comes in handy. 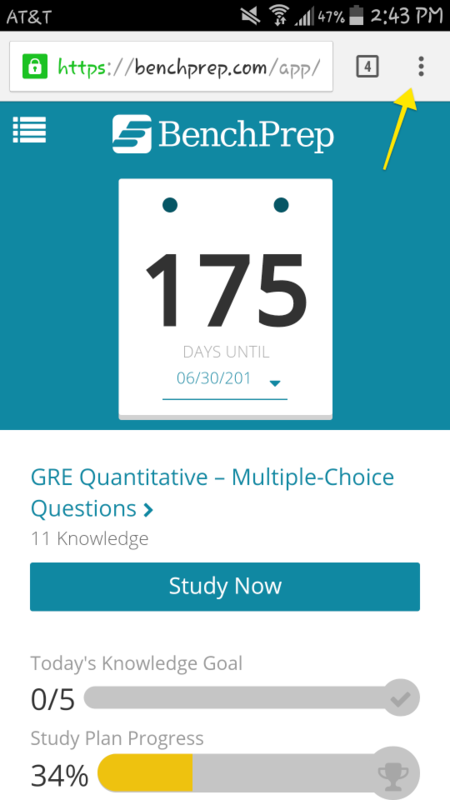 The Tests module, for example, is not available in the mobile app, but you can still take practice tests on a mobile device if you log in to your course through a web browser. 1. Open Safari and log in to your BenchPrep account at www.benchprep.com/login. 2. 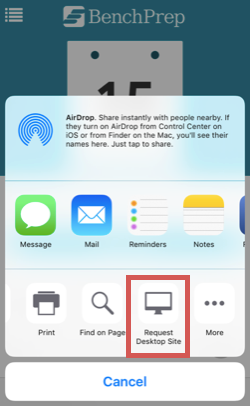 When you open your course, Safari will automatically open the mobile version. Tap the icon in the middle of the toolbar on the bottom of your screen. 3. A window will pop up. Scroll to the right until you see the "Request Desktop Site" button. Tap this to view your course as if you were on a desktop computer. The "Request Desktop Site" button will also appear if you tap the URL field at the top of the screen once and scroll to the top of the window that appears underneath the URL. 1. Open Google Chrome and log in to your BenchPrep account at www.benchprep.com/login. 2. When you open your course, Chrome will automatically open the mobile version. 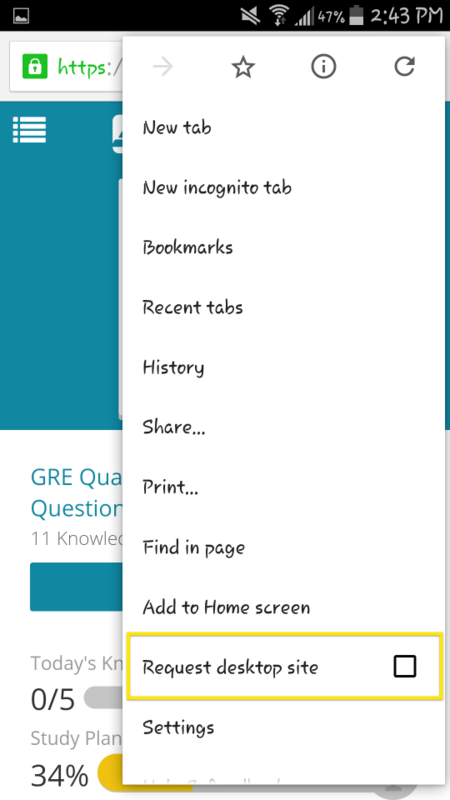 Tap the browser menu (the three dots on the right-hand side of the header) to open a list of options. 3. Check the box next to "Request Desktop Site." 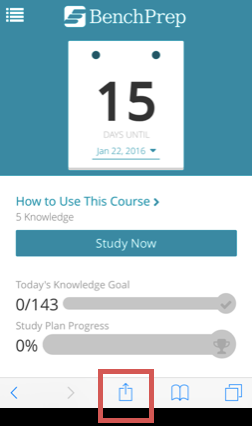 Your course will automatically reload, showing you the desktop version.